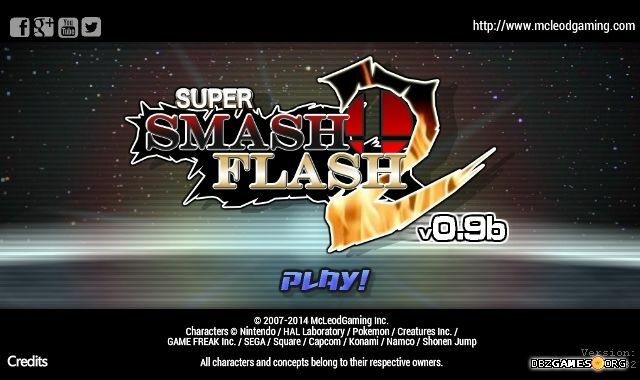 Super Smash Flash 2 1.1.0.1 Beta is the latest version of the ultra-popular fan-made fighting game inspired by Super Smash Bros. series. The game is developed by McLeodGaming in Adobe Flash technology, which means you can also play it in your browser. If you're a fan of Nintendo, anime, and good fighting games, SSF 2 is what you're looking for! 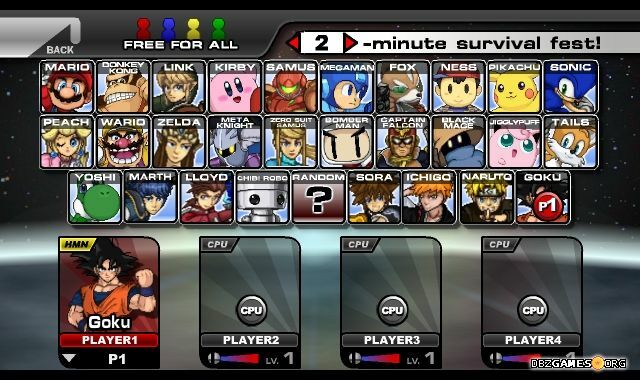 If you haven't played Super Smash Bros. games so far, you must know that this isn't a classic fighting game. 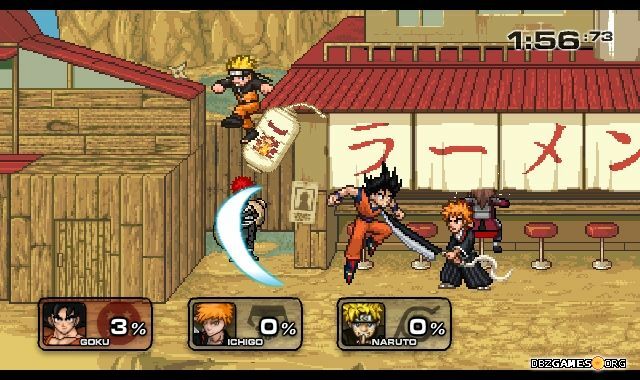 The fights take place in arenas where up to 4 players can participate at the same time. The main goal of the game is not to deplete rival's health, but to knock them out of the arena. In the place of the character's health bar you'll find a damage percentage counter which increases its value when damage is taken. A higher percentage means the easier it's for a character to be knocked off the stage. Opponents can be thrown off the arena in many ways including standard throws, special attacks, or items that appear in the arena. It all depends on your ideas and tactics. 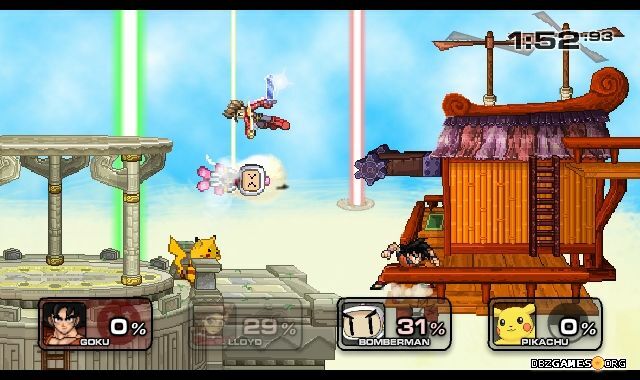 Super Smash Flash 2 includes many game modes in which up to 4 players can play at the same time. Youll also find many challenges for one player and a complete Training mode in which you can learn the game's mechanics and practice basic and special moves of all characters. You can choose from the most popular Nintendo icons like Mario and the company, Link, Pikachu, Donkey Kong, as well as anime stars like Goku, Luffy, Naruto. There are also the heroes of games from other publishers such as Sonic, Mega-Man, or Pac-Man. Each character has its strengths and weaknesses, as well as unique abilities and mechanics. Before you go to battle, check out several different characters to find the one that will match your gameplay preferences. The game is constantly updated. You can expect new characters, stages, and game modes in the future. Run SSF2.exe in the main game folder.